"Our Nation's waters are a valuable ecological resource. Protecting them begins with State and authorized Tribal adoption of water quality standards. 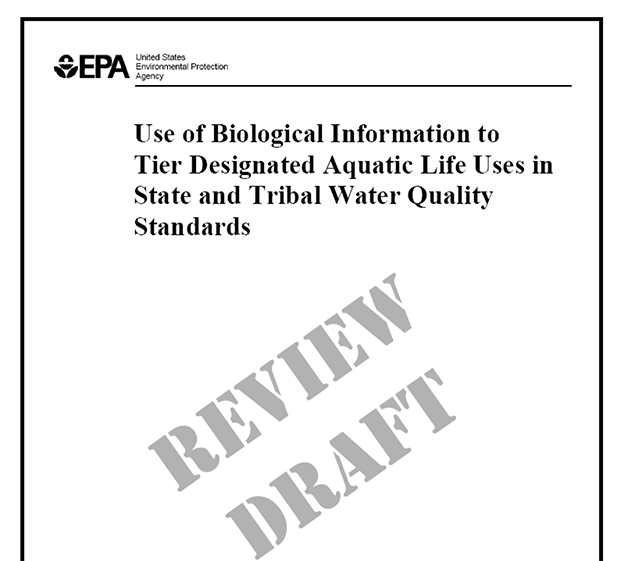 This draft document, the Use of Biological Information to Better Define Designated Aquatic Life Uses in State and Tribal Water Quality Standards: Tiered Aquatic Life Uses, provides up-to-date information on practical, defensible approaches to help States and Tribes more precisely define designated aquatic life uses in their water quality standards. 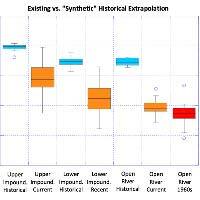 Biologically-based tiered aquatic life uses, based on the scientific model presented in this document, can help States and Tribes develop aquatic life uses that more precisely describe the existing and potential uses of a waterbody and then use bioassessments to help measure attainment of the uses." Underlying concepts such as the Biological Condition Gradient (BCG) and the regulatory background for developing refined uses and numeric biocriteria are included. The key steps that states will need to take on the way to building the technical and programmatic capability to support a refined uses approach is described. 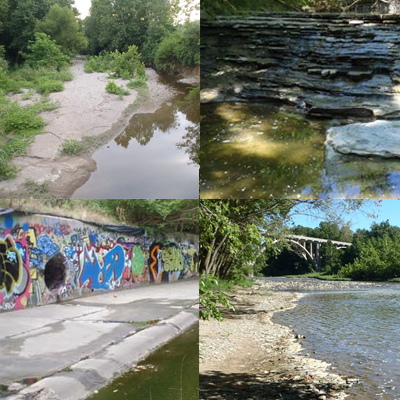 Several case studies and case histories of the two leading state programs (Maine and Ohio) with refined uses and biocriteria in their WQS provide detailed examples about how such an approach might be developed.